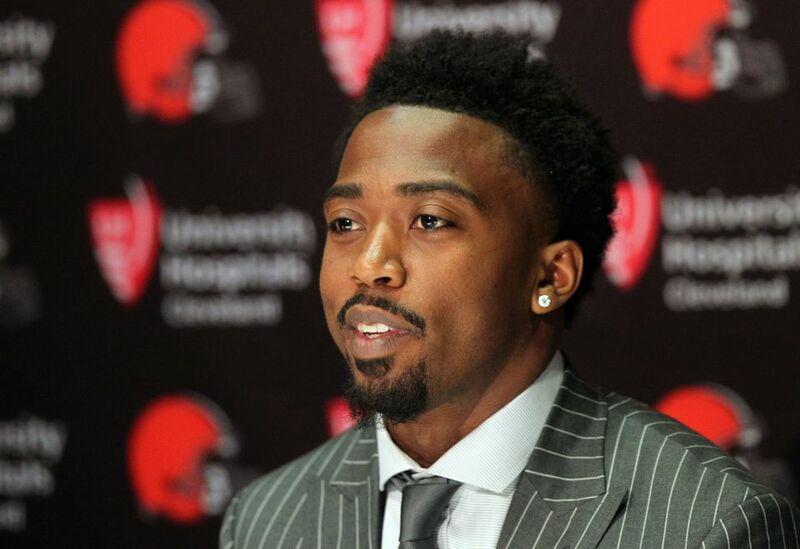 Tyrod Taylor, currently penciled in as the 2018 starting quarterback for the Cleveland Browns, was introduced with his new teammates this afternoon. He, along with coach Hue Jackson and GM John Dorsey, was asked about his role as a “bridge QB” for the team, essentially serving as a stand-in until a rookie is ready to take over. All three indicated this is not Taylor’s role, that he’s here to start and turn the Browns into a winner. The message seemed to be clear – Taylor was not brought in as a temporary solution. That’s nice. Despite this, Cleveland should – and likely will – still draft a quarterback with the first overall pick. I certainly understand Taylor is an upgrade for the Browns. This, of course, just highlights the sad state of affairs the team has endured when it comes to finding anything remotely resembling a franchise QB. However, there are some who feel as though acquiring Taylor means Cleveland can focus on a different position with the first pick in the draft. Many see it as a clear sign the Browns are going to take running back Saquon Barkley instead of picking the best available quarterback. To me, my stance on this remains the same as it was before Taylor arrived – the first round pick must be used on a QB. Taylor can continue claiming he’s here to be the one to get the Browns to the Super Bowl. Dorsey and Jackson can keep singing his praises, trying to dissuade everyone from thinking he was only acquired to hold the fort for a season. It still doesn’t even slightly convince me Taylor’s arrival has altered Cleveland’s draft plans in any way. Again, the former Buffalo Bills signal-caller is certainly a better option than anyone from the Browns depth chart last year. In seasons where he started, Taylor has never won less than seven games. He takes care of the football, having thrown a combined 16 interceptions in the past three years. However, he also isn’t exactly the kind of quarterback who’s going to wow you with his stats. For his career, he averages just over eleven yards per completion. His touchdown totals have decreased year-over-year since 2015, having thrown just 14 last season. He is, quite frankly, a limited quarterback. He’ll keep you in games, but he’ll rarely be able to put a team on his back. Knowing this, it’s extremely difficult to see him as someone reliable enough to make Cleveland feel comfortable passing on a quarterback first overall. If anything, acquiring Taylor actually increases the Browns’ chances of taking a QB with their first pick. With Taylor, Cleveland has someone it can feel comfortable starting right away heading into next season. He’s also a player the team hasn’t made a huge investment in. With Taylor playing out the final year of his contract, the Browns can take a quarterback first overall and spend the next season getting whoever they pick prepped to take over in 2019. To be blunt – acquiring Taylor puts Cleveland in the best spot to use its first pick on a QB. The team has a chance to take the best available rookie at this position. At the same time, having a capable veteran in place ensures there won’t be the need to throw another young and unprepared player into the fire right away (see: Kizer, DeShone). I’d love to say it’s a situation even they couldn’t screw up, but this is the Browns we’re talking about. Their deeming the acquisition of Taylor as enough reason to take a running back first overall would certainly qualify as screwing this up. As I pointed out last week, Cleveland is a team still searching for an answer at the most important position on the field. Tyrod Taylor could be a fix, but a temporary one at best. With that said, the Browns would be foolish to think they can focus on anything other than quarterback with the first overall pick.